As we approach the 99th anniversary of the signing of the Armistice, our thoughts turn to those who served and the sacrifices they made. Many memorials were made by towns, schools and businesses to commemorate those incredible individuals, many of which have sadly been lost over the years. 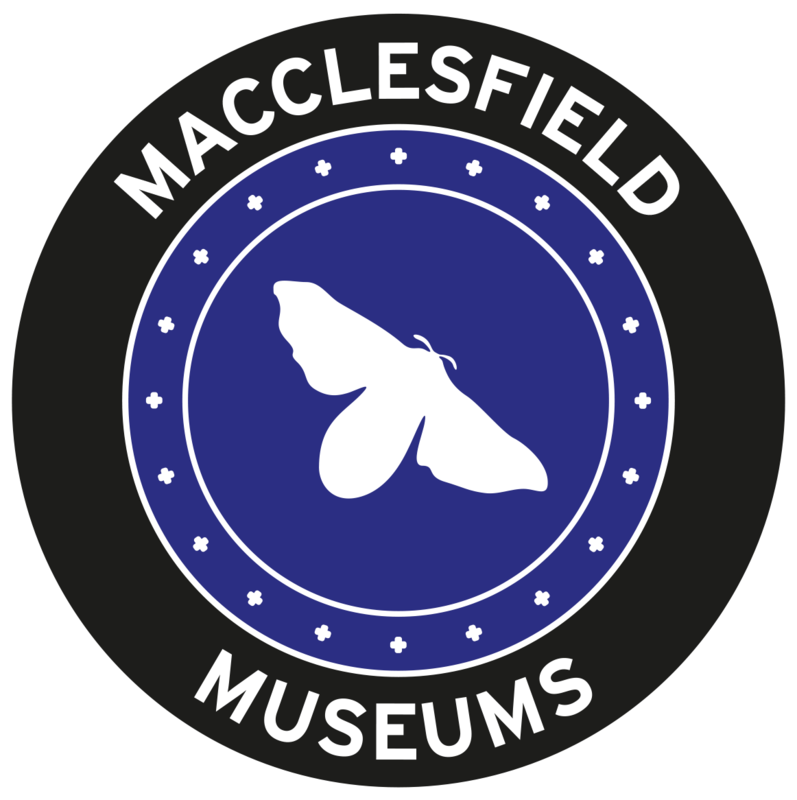 We are thrilled to announce that Macclesfield Museums have rediscovered one such memorial in their collection, and just in time for Remembrance Day! During an audit of The Silk Museum stores, a “lost” First World War memorial was found by Director Sue Hughes, carefully stored away – the museum must have offered a safe place to store it when it was removed from its original location. The memorial, a cast brass plaque, was commissioned by the Mill Street Mission, Macclesfield to commemorate “in loving remembrance” those who “in the time of need came forward in the service of mankind and for the defence of the liberties of Europe in the Great War”. It lists the names of sixteen local men: William Belfield, Arthur Burgess, John Dennerley, John Findlow, Alfred Mellor, Matthew Oakes, George Pickering, Joseph Pomfret, Frederick Proffitt, Walter Slater, Arthur Sutton, Henry Tester, Joseph Tomkinson, Frederick Wardle, Joseph Wardle and James Widdows. At the top of the list, unusually, is a woman: Sarah Ann Wiggin, a VAD (Voluntary Aid Detachment) Nurse. Originally from Brindley Ford, just outside Tunstall, she worked as a domestic servant from at least the age of thirteen. She went on to work for Nathan and Harriett Storey of 54 West Bond Street, Macclesfield, preachers at the Mill Street Mission; Sarah may have been a member. 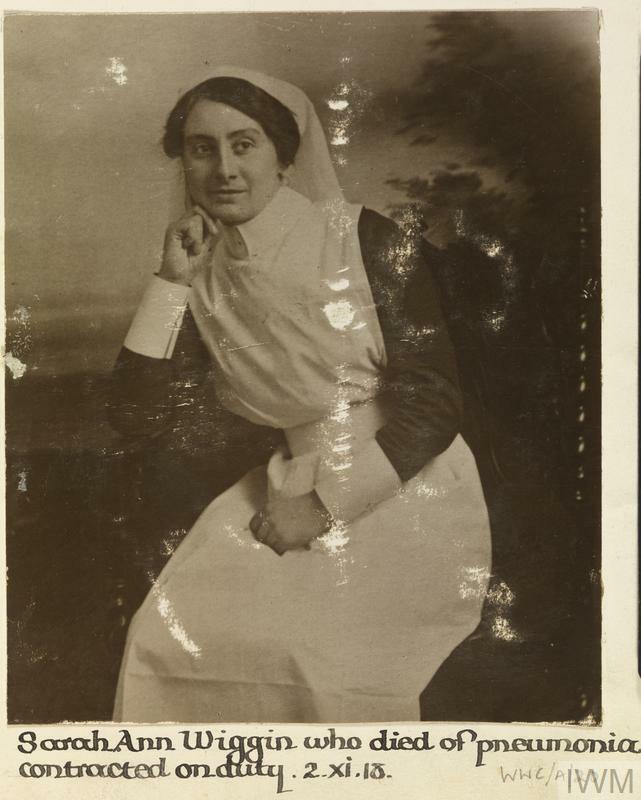 Like many other young women, Sarah volunteered to help with the war effort; she became a VAD Nurse for the Royal Army Medical Corps. In 1918 she was at Moor Park Military Auxiliary Hospital, Preston, one of the many set up across the country during the war to treat sick and wounded soldiers. While she was working there, she fell ill with pneumonia as a result of the Spanish flu epidemic. She died aged just 30 on 2 November 1918, only nine days before the Armistice was signed. Sarah is credited as Nurse S Wiggins on the memorial, but her surname is correct on her native Brindley Ford war memorial, which reads Sister Sarah Ann Wiggin; “Sister” may refer to her nursing position, or possibly as a member of the Salvation Army. Despite the misspelling, her prominence on the Macclesfield Mill Street Mission memorial and the inclusion of her role indicates her importance, both to the Mission and the war effort. The rediscovery of the memorial is a poignant reminder of the incredible contributions made by both men and women during the First World War, and a timely one. It will soon be on public display at The Silk Museum. Another new addition at The Silk Museum will be an interactive which will allow visitors to virtually “flick through” a pattern book. The first to be uploaded will be a Langley pattern book from 1914-18, just in time to commemorate the end of the First World War.